Whether you choose to get wet or stay dry, you’ll have the opportunity to experience all there is to discover. Below are some of the options available to you if you are not a confident swimmer or would prefer to stay dry and observe. If you’re not a confident swimmer, that’s ok! We have a number of ways to assist you experience the reef. These include our Snorkelling Safety Officers who’s primary focus is to assist you no matter your level of confidence in the water. We have buoyancy vests and flotation aids available. 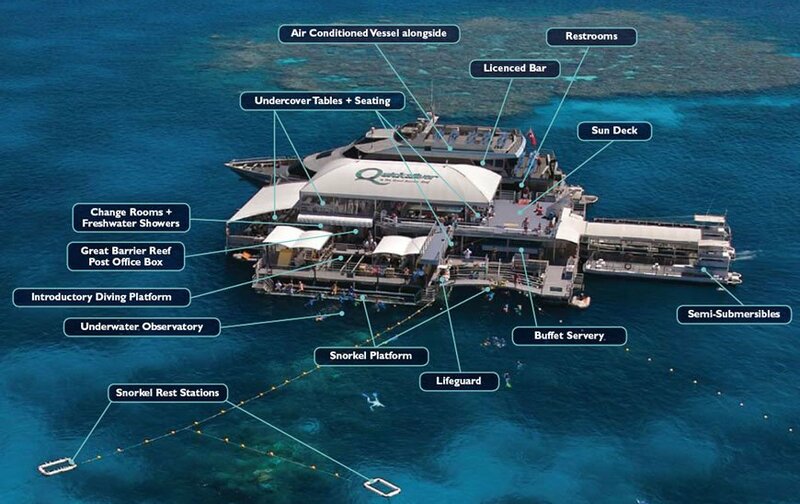 In addition, ‘rest stations’ float in various parts of the snorkelling areas allowing you to move easily between the stations to view the reef below. The wide snorkel platforms allow easy access to the water, where you can be seated to ease into the water or just dangle your toes if you prefer. Here you can also watch the fish feeding presentation by the crew at the time advised. 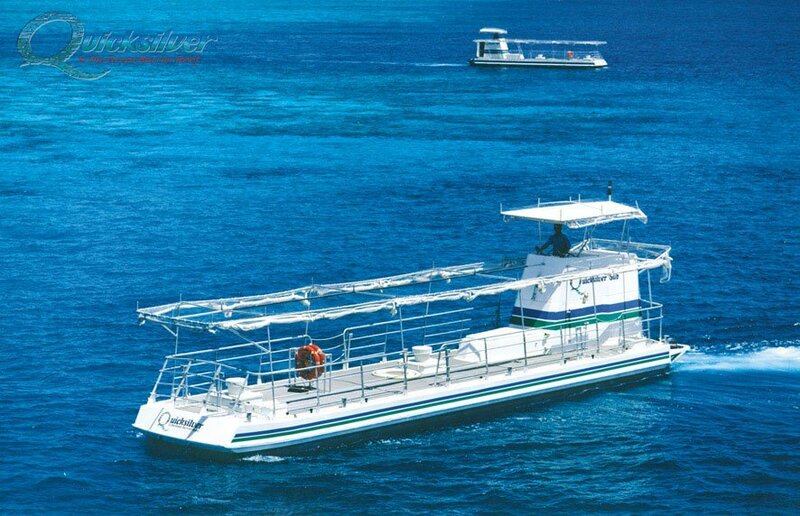 Floating like an island in a Coral Sea, the modern, dual level platforms provide the ultimate in facilities for reef viewing and relaxation in all weather and wind conditions. It’s the base for your day to explore! Enter the underwater observatory, cruise in the semi-sub. Relax undercover or on the sundeck and enjoy the panorama with a refreshment from the licenced bar. You can even send a postcard from the only Australia Post post box on the Great Barrier Reef! 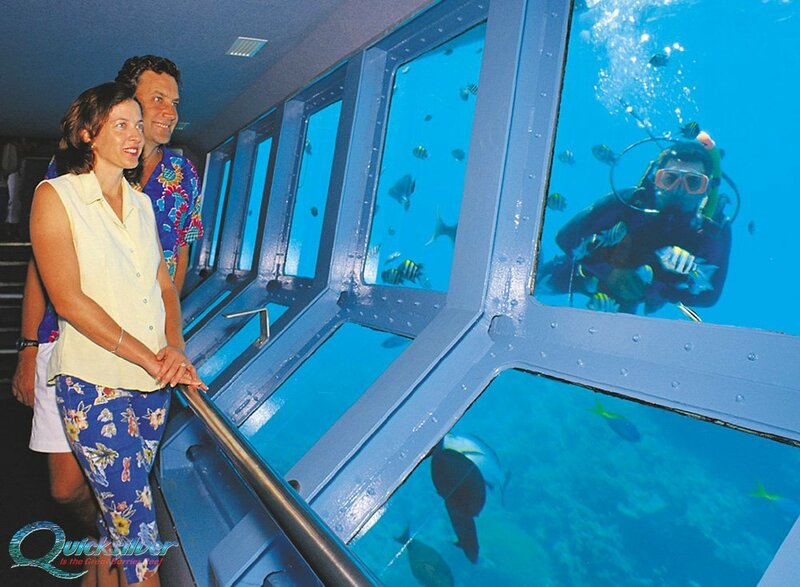 You can also see the coral and watch the fish feeding from Quicksilver’s unique viewing platform and underwater observatory located directly in front of the platform. From here, you can also view “first time” divers taking part in introductory dives. The reef vibrates with the hues, stripes, and shimmerings of a myriad of fishes. Butterfly fish, parrot fish, angel fish and elegant nudibranchs dance before your eyes and coral gardens beckon you to explore. Watch, entranced, as a clownfish snuggles into the embrace of a sea anemone. If you would like to stay dry, then you can explore the stunning reef from the comfort of a Quicksilver sub. The semi submersibles cruise slowly through the colourful coral gardens giving passengers, seated just one metre underwater, the opportunity to experience a divers view of the marine life without getting wet. The semi-sub experience takes approximately 25 minutes and includes an informed commentary on the marine life observed during the journey and an overview of the wonders of the Great Barrier Reef. Semi-subs depart every fifteen minutes from the rear of the platform. Announcements are made to prompt you before departure. As a non-swimmer, you can see the reef up close during a helmet “dive”. 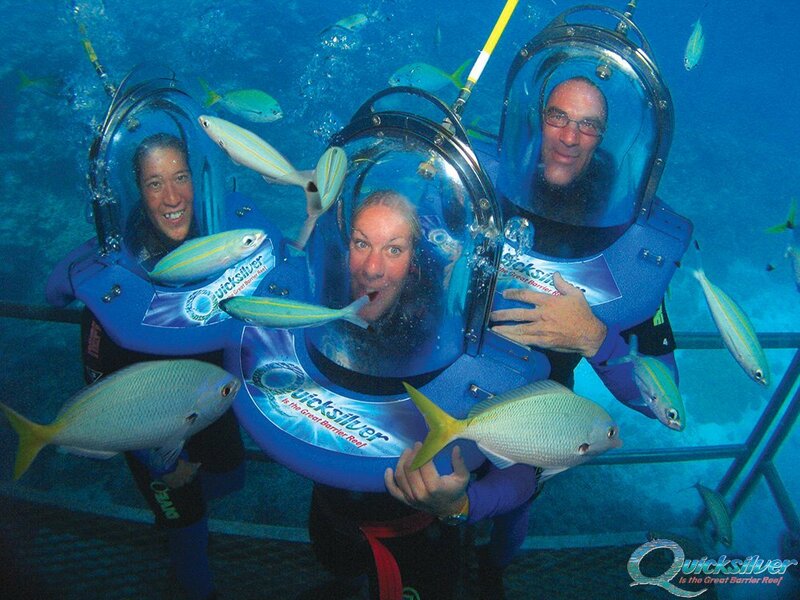 Breathing fresh air delivered from the surface into your helmet, you will walk underwater on a reef platform – you can even wear your glasses if you wish! Oceanwalker is suitable for anyone aged over 12 years and pass the on-board medical questionnaire. After a short briefing, you will be walking amongst the reef fish and corals. 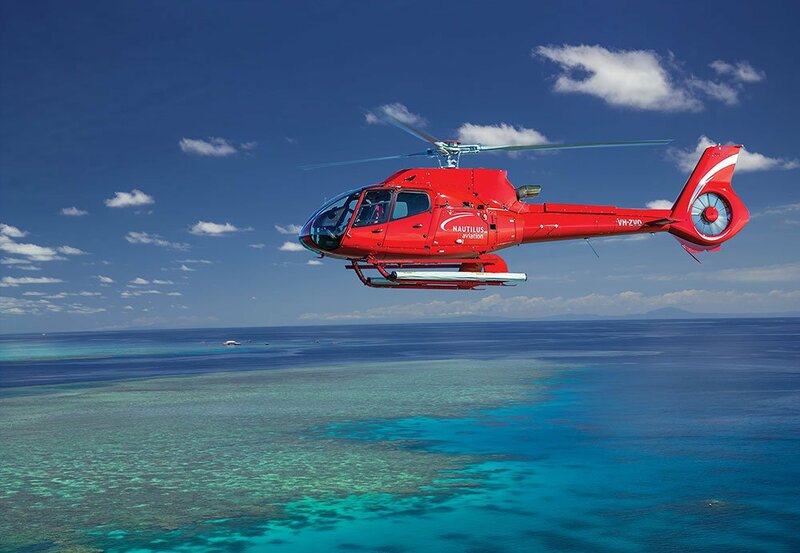 For a different and spectacular perspective of the jewel like ribbon reefs, a ten minute helicopter flight is available from platforms moored at Agincourt Reef.